Vintage Swarovski crystal heart cake toppers are an elegant and dazzling way to accessorize your cake with a touch of romance. This Vintage style single cake heart topper features gorgeous sterling silver plated with clear Swarovski Crystals in an intricate ajouré style. 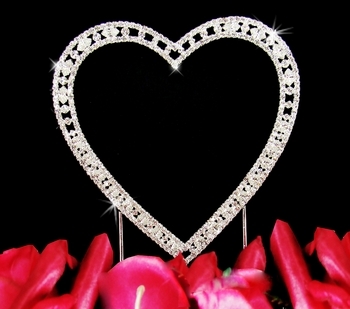 Vintage Swarovski crystal heart cake toppers are an elegant and dazzling way to accessorize your cake with a touch of romance. 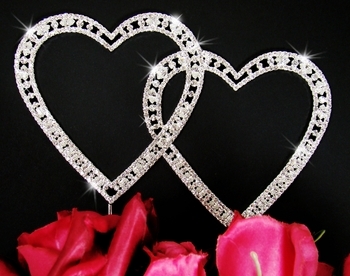 This Vintage style double cake heart topper features gorgeous sterling silver plated with clear Swarovski Crystals in an intricate ajouré style. Large Double Heart measures 6.5" x 8.5"